It is one of the best FREE contact form plugins available. You can easily manage different forms simultaneously. You can also customize the form and the mail contents flexibly with simple markup. This plugin uses Akismet and a captcha code to prevent spamming. 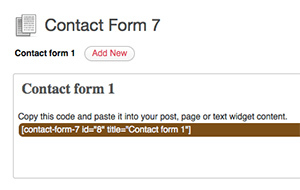 With the Enhanced contact form you can easily embed a contact form in any page by writing a short code line. It has good spam protection capabilities and provides the option for sending the contact form message as an email to the visitor himself. With more than 300000 installs, Gravity forms is the best contact form for your WordPress available. 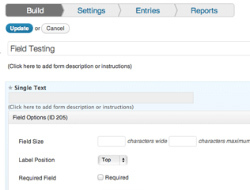 Quickly build and design your WordPress forms using the form editor. Select your fields, configure your options, and easily embed forms on your WordPress powered site using the built in tools. It comes with some of the best spam protection using the built in captcha option. Easy contact plugin is an easy to customize contact form which features a number of spam reduction techniques. It uses the popular Sandbox design pattern to provide a highly semantic contact form which you can insert in any page using a short code line. A super customizable contact form that lets your visitors send you email. Fast and secure plugin provides the option to add a contact form in any page of the site. It comes with a Captcha entry option and Akismet to prevent spamming and auto comments. 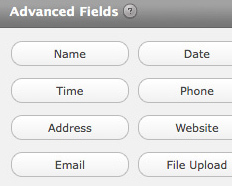 You can also add extra fields as per your choice. Contact me is a simple contact form which can be easily installed in any page using a short code line. It can be easily modified and you can design the contact form using textboxes, radio buttons, check boxes etc. and chose which fields should be mandatory. You can use captcha code or re-captcha for spam protection. 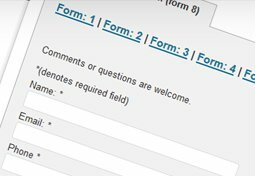 The form builder contact form allows you to create customized and complex forms. The main advantage of this plugin is that there is no need to know PHP or even HTML for building forms. It has built in spam protection capabilities and you can even use the optional captcha spam filtering. The Spam free contact form is described as a 100 percent spam blocking contact form. It is tested under real heavy traffic conditions and has provided positive results. It is the best option if you are constantly worried about Spam in your contact forms. You can build custom forms quite easily with the drag and drop interface. It saves all responses in the server from where you can easily retrieve it any time you want. It uses Re-captcha and Akismet for protection against Spam. It is considered to be 1000 times more customizable than other available contact form plugins. With the Custom Contact Forms plugin, you can easily control any aspect of the contact form including fonts, border, size, colors etc. It uses captcha code for spam protection. You can also find all the new submissions quite easily in the dashboard. Next Next post: Why Choose a Framework Based WordPress Theme?